The lady bug, or asian lady beetle, is a small beetle usually red, yellow or orange in color with black dots on their wing covers. They have short legs and antennae. Lady bugs tend to feed on plant-eating insects, making them a delight to have in the garden. 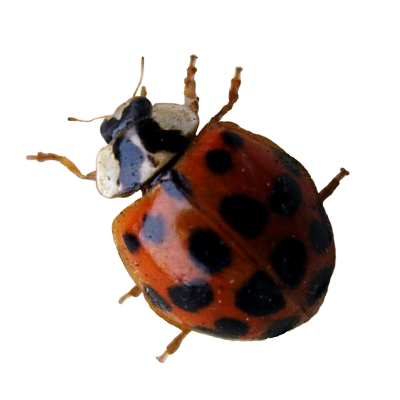 However, some lady bugs feed on plants, becoming a garden pest. They can also get in your house and cause an infestation.